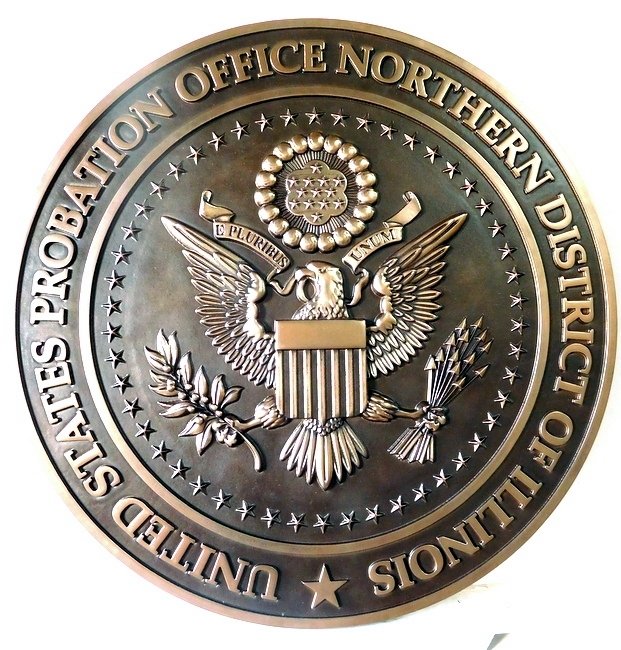 This 3-D bronze-coated plaque is located inside the US Probation Office of the Northern District of Illinois. It features the Great Seal of the US as artwork. It has dark bronze patina on the background, and high poloshed raised art and text. Please click on Product Gallery 7 to see 200 other bronze, brass, copper, gold, silver, silver-nickel (German silver), stainless steel and aluminum plaques and signs.